The studio is determined to give Clementine the send-off she deserves. 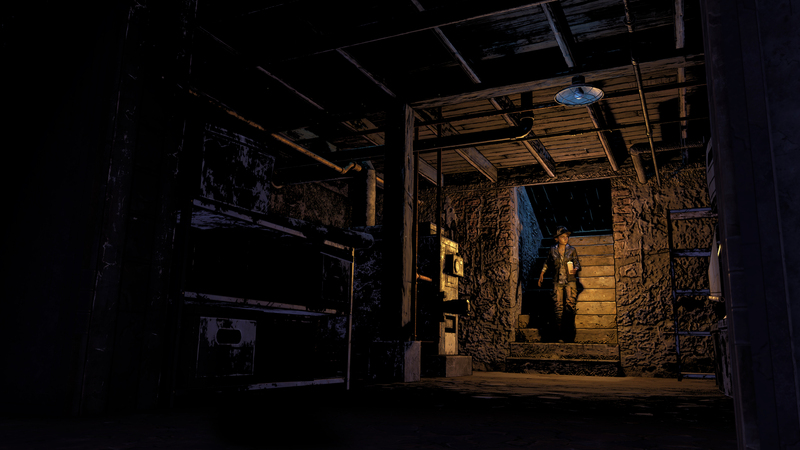 With its third season of The Walking Dead, game developer Telltale took a risk. The team moved the spotlight away from Clementine and onto a new batch of survivors led by former baseball star Javier Garcia. 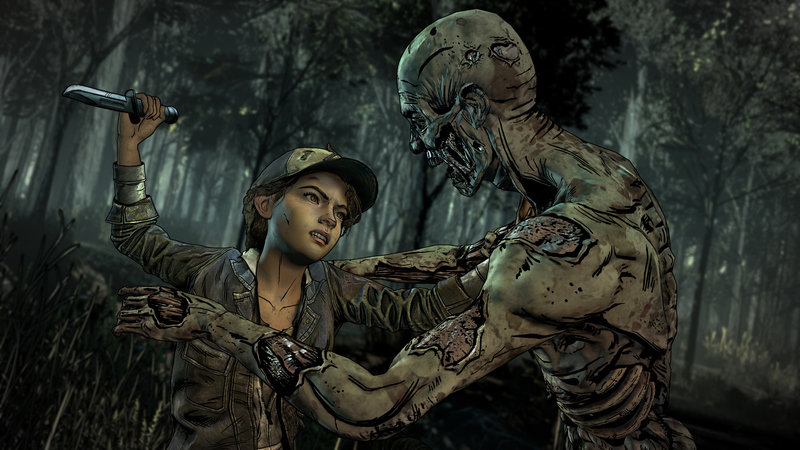 "People just wanted more Clementine," Kent Mudle, creative director on Telltale's The Walking Dead said. "They liked the Clementine stuff that was there, and she was playable in the flashbacks and that kind of thing. But that's what people have been demanding since season two, basically." So for the fourth and final season, the studio is putting the focus back on Lee's beloved "sweet pea." "We listened to fans and how much demand there was for more playable Clementine," Mudle contined. "And we thought at this point, given the arc that Clementine has been on since the first season, that it would make sense to finally give a satisfactory conclusion to that story." The final episodes will focus on an older Clementine who wants to protect AJ, a young boy who she adopted in the finale of season two. After losing him in season three, it's clear that she needs a change of strategy. The apocalypse has progressed and increased resource scarcity has made communities a must. "She has to find a way to keep him alive and to not just be running forever," he explained. "She's young but that was kind of was her youth, almost, season two and three. Now she has more responsibilities and has to actually care about something, and try to build a place that will actually last, and not just go off on her own forever." The story has progressed, but Mudle and the team want to recapture what fans loved about the critically acclaimed and multi-award-winning first season. That means a renewed focus on character relationships, explorable spaces and meaningful consequences for your actions. "Everything that people loved about the first season, we're trying to honor and then bring up in quality," Mudle said. It starts with a visual overhaul. The final episodes will use a new "graphic black" art style that hews closer to the iconic Walking Dead comics. There will also be an over-the-shoulder camera system that lets players inspect or simply admire the new environments. "This is the best looking game Telltale has ever made," Mudle said. "The art team has done an amazing job with the character models, environments and lighting. It's like a living, breathing comic book, especially with the ink shading in the background. This is easily the most beautiful thing that we've ever done." Telltale is also experimenting with unscripted combat. That means you can control exactly how Clementine fights off the zombie horde. That's not to say the game won't have traditional QTE (quick time events) too, however. But their inclusion should heighten some of the game's most important and nail-biting 'walker' encounters. Ultimately, though, the game will thrive or die on its writing. 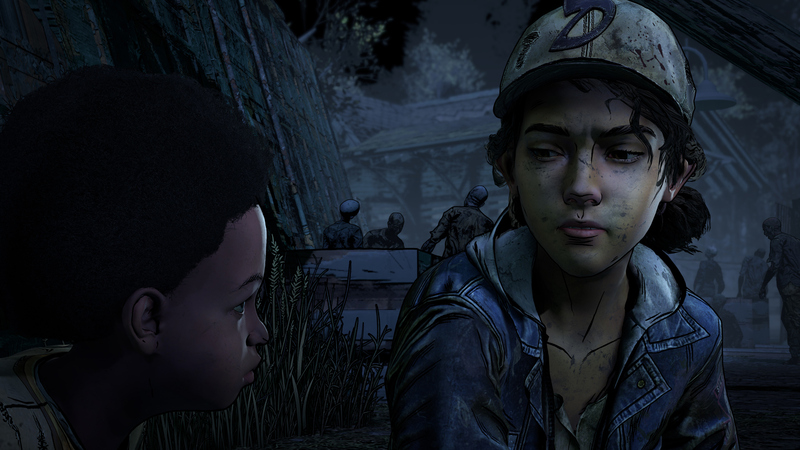 Telltale has brought back Gary Whitta, a writer from the first season (he penned episode four specifically) to shape the conclusion of Clementine's story. It's a tricky balancing act, because Telltale has to consider the different ways that people have role-played Clementine over the last three seasons. She has an established "range" — a list of actions she would conceivably perform — based on the fixed story events of prior episodes. That range, though, slowly shifts with each season, both as Clementine ages and gains experience as a zombie survivor. For the fourth season, Telltale experimented with a version of the character called "dickhead Clementine." It didn't work, though, and was eventually scrapped. "She was being way too mean," Mundle said. "Clementine can be mean, but it should be sassy and clever. And we were trying just like, a Clementine that was way too mean. So we said 'Okay, we have to reel that back in, that doesn't feel quite like her.'" For Melissa Hutchison, Clementine's voice actor, it can also be tricky to keep track of these different shades, or versions of the character. "It [can] be a little crazy because it's not like we go,' let's record this one scenario all the way through, and then we'll go back to this other choice and record that choice all the way through.' It's an amazing acting workout for me, because I do get to go right through the different portrayals and responses and emotions of Clementine." Last November, Telltale laid off a quarter of its workforce. Pete Hawley, the studio's chief executive, admitted that the company had been spread too thin and needed to focus on "fewer, better games with a smaller team." The fourth and final season of The Walking Dead will be a crucial test for this new organization structure. Matching the emotional impact of the first season is a tricky, borderline impossible task. But it seems the team has recognized what people loved about those first five episodes, and is doing everything in its power to give Clementine the send-off she deserves.